Is there anything more frustrating than discovering that photos you've taken with your new camera can't be opened by your favorite image editing program? This is more common than you might think. That's because companies like the Nikon Corporation have designed image formats like NRW to only work with their products. Ready for some good news? 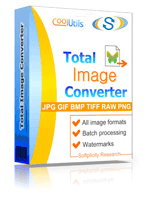 Now you can convert NRW to JPEG in batch with Total Image Converter. No matter what size your project is, our batch NRW converter can gather all your NRW images and automatically convert them into a more accessible format. By taking your NRW Nikon photos and turning them into JPEGs, they'll not only become easier to share, but occupy far less space on your computer. With the help of our intuitive GUI, the whole process takes only a minute or two to automatically complete per your instructions. Speaking of automatic, we even let you save NRW as JPEG directly through command line prompts. Project manager? Server Administrator? 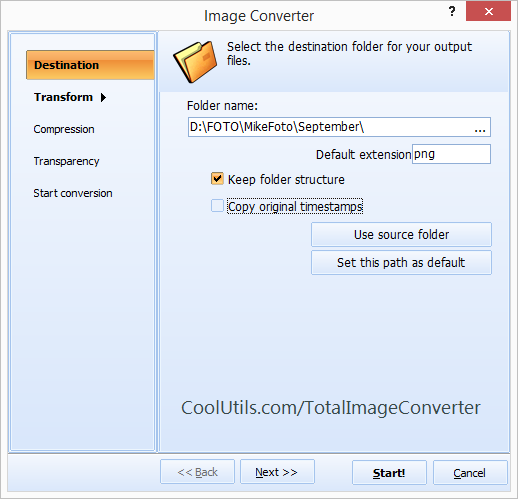 Through command line access you can process hundreds of images automatically, in batch. We've also included lots of options to help you get the most out of your image conversions. You can even set the photometric interpretation. When it comes to conversion software, we have quietly taken the lead through nearly 15 years of continuous development. Time tested through millions of uses, and refined through user feedback, no other converter provides this level of flexibility. 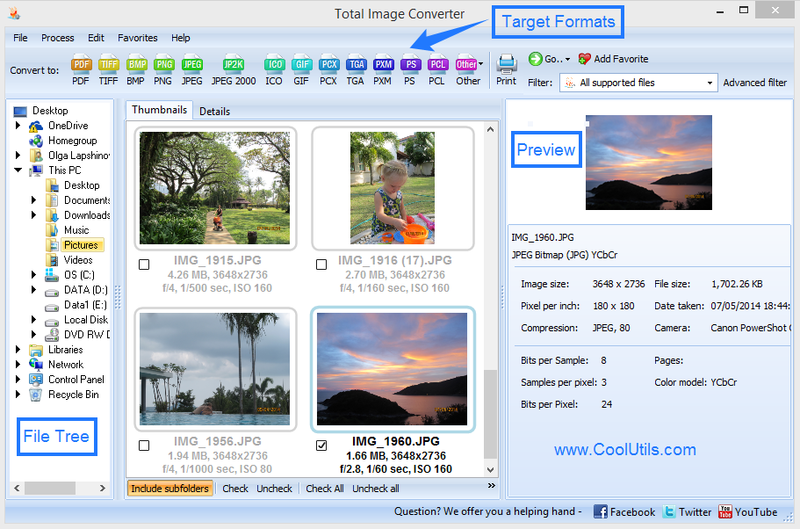 Download our trial version today and see for yourself what a difference Total Image Converter can make. Upgrade to the licensed version and receive free updates during the first year. To stay up to date with info on all our conversion wares, like us on Facebook, follow us on Twitter, and stop by our YouTube channel.